This is a rectangular Blue & White Cigarette porcelain sign. This particular Blue & White Cigarette sign features a blue pack of cigarettes against a red background. 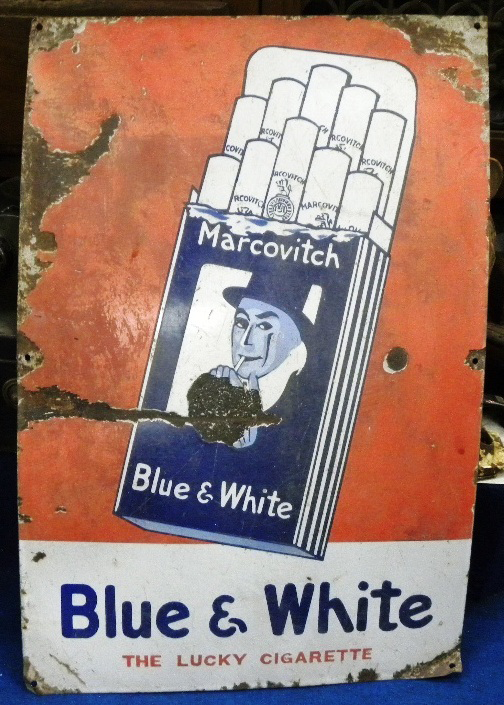 It reads, “Marcovitch Blue & White, Blue & White, The Lucky Cigarette”.